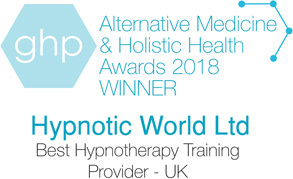 Looking for hypnotherapy workshops? Our schedule of training workshops and events is now available on the Upcoming Workshops page. 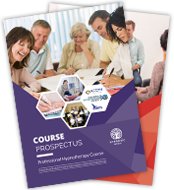 January, 2013 - Our updated course prospectus for 2013-14 is now available for download. The prospectus provides in-depth information on the topics covered in each course module, practical training options and more. August, 2012 - The Professional Hypnotherapy Course is now quality checked by the National Hypnotherapy Society. January, 2011 - Hypnotic World welcomes our new Mediterranean Representative, Katerina Banou from the beautiful Greek island of Kos. Katerina has already proved a great asset by translating many of our scripts into Greek and she is happy to answer any questions that prospective students from Greece may have. August, 2010 - Fast-Track 4 day mini course opens to applications. Directed by Peter Hanney with small groups of 3-4 people, the course is open to both members and non-members of Hypnotic World. February, 2006 - The official PHPA site is launched (www.phpa-online.org) and negotiations with a leading insurance company to offer graduates from the Hypnotic World International Academy of Hypnotherapy an opportunity to benefit from a block insurance scheme are successful.